This recipe is a variation of the Tirupati Laddu. 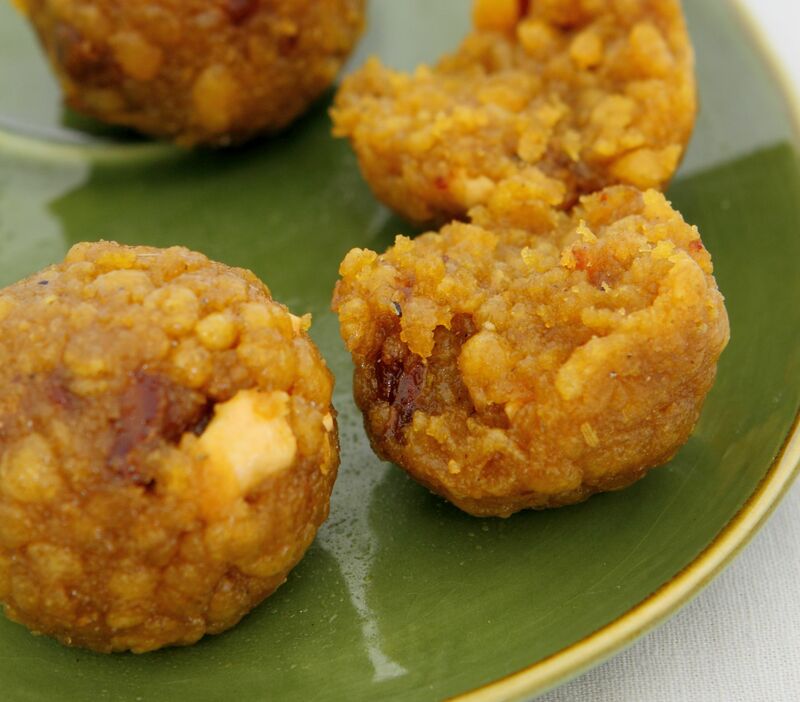 The jaggery makes a difference in the colour and taste of this laddu. This recipe is courtesy of Venusitas and was first published in Flavours magazine. In a pot over medium heat, boil the jaggery with 750ml of water till the mixture becomes a thick syrup. In a bowl, mix the flour with the remaining water, then add the sugar syrup. Heat the ghee in a pot then pour it over the mixture. Add the dates and cashews and combine well. Using your hands, shape the mixture into lime-sized balls. Cool before serving.